My sister, brother and myself search the country for new and exciting wines and spirits. We forge meaningful relationships with the best producers – from start-ups to up-and-coming crafters and multi-generational family wineries and distilleries – so that we may provide exceptional products at incredible prices. These close relationships give us exclusive access to world-class products and let us showcase the best of the best on our shelves. 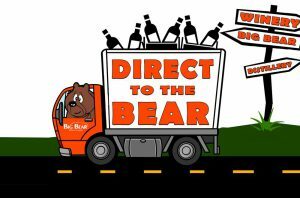 Just look for shelf tags featuring a Bear Driving a Delivery Truck for great products at unbelievable prices!